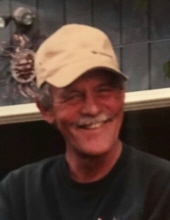 Ronald Lee Shultz, 63, of Whitehouse, OH, died October 13, 2018 at his home. He was born September 20, 1955 in Toledo, OH to Rolland & Dorothy (Kinsel) Shultz. Ron was a driver for Randy Mastin Septic Tank and retired 3 years ago. Ron was a member of the Maumee Elks. He loved living on Springbook Lake, riding around on his tractor and helping out the neighbors. He enjoyed golf, scratch off lottery tickets, the Buckeyes and the Cowboys. Ron is survived by the love of his life for the last 24 years, Amy Stolarski, sisters, Diane (Tom) Shondell, Cindy (Doug) Porter, Sharon (Rich) Van Hove, brothers, Don (Lisa) Shultz, and Kenny (Michelle) Shultz, daughter, Jacki, 2 grandchildren and several nieces, nephews and cousins. He was preceded in death by his parents. Ron’s memorial service will be held on Friday, October 19, 2018 at 1:00 p.m. at Peinert-Dunn Funeral Home, 6603 Providence St., Whitehouse, OH. Visitation will be held Friday at 11:00 a.m. until the time of the memorial service at 1:00 p.m. In lieu of flowers, the family suggests giving memorial contributions to Promedica Hospice. To leave an online condolence with Ron’s family please visit www.dunnfuneralhome.com. To send flowers or a remembrance gift to the family of Ron Shultz, please visit our Tribute Store. "Email Address" would like to share the life celebration of Ron Shultz. Click on the "link" to go to share a favorite memory or leave a condolence message for the family.